As much as I adore fashion, I also love to prepare healthy meals. What you may not know about me is that I'm passionate about leading a healthy lifestyle. This includes working out daily, tracking my nutrients, and counting calories. The best way for me to eat healthy is to cook my own meals, and I find myself enjoying the process of cooking more than I ever did before. 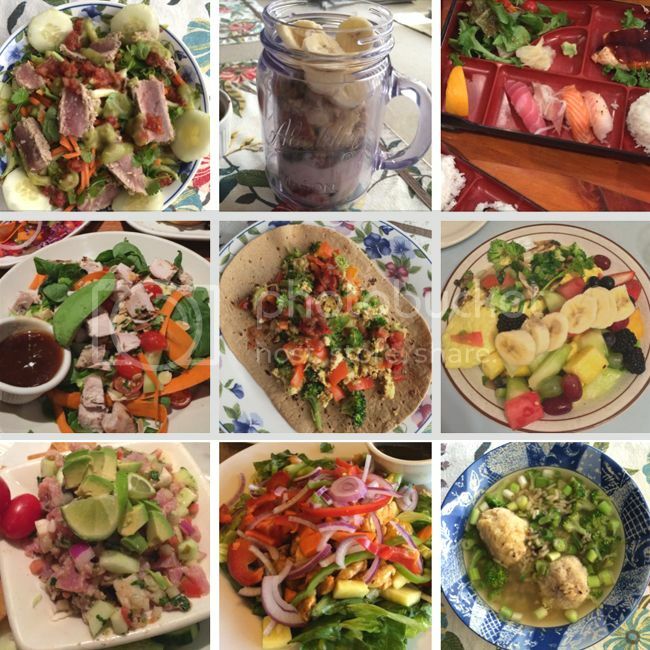 Here's a peek at some of my recent meals both at home and in restaurants. As you can see, I really appreciate a good salad! If you follow me on Snapchat (@thekeytochic), then you've likely seen a peek of what I'm cooking up and consuming on a regular basis: salads with lean protein, scrambled egg veggie wraps, stuffed bell peppers, seared ahi tuna, baked eggs with vegetables, fruit salads, chia oatmeal, etc. During the fall, I lean more towards warm dishes such as oatmeal, soup, and steamed vegetables. November is one of my favorite months because as Thanksgiving approaches, I love searching for and trying out new recipes. Let's get started with breakfast, my absolute favorite meal of the day. 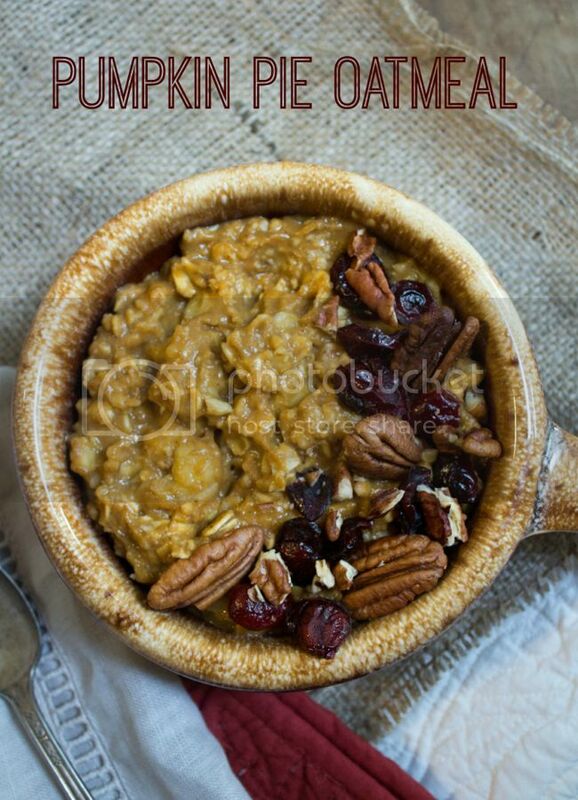 I've eaten oatmeal for breakfast ever since childhood, so I consider it comfort food. This pumpkin pie recipe from fannetasticfood.com is filling, low in calories, sweet, and so tasty! I use less milk in my recipe and add chia seeds for extra protein. Peanut butter is one of those foods I love too much. Unfortunately, it's high in calories, so I have to eat it much less than when I was younger. (Or I skip it and use PB2 instead.) This reduced calorie peanut butter and fruit snack from popsugar.com incorporates another favorite food of mine - Greek yogurt. The added protein is great for a boost of energy, and the sliced fruit makes it guilt free. I omit the maple syrup in the recipe and load up on apples (or even carrots). Vegetables are beloved to me (I simply can't get enough! 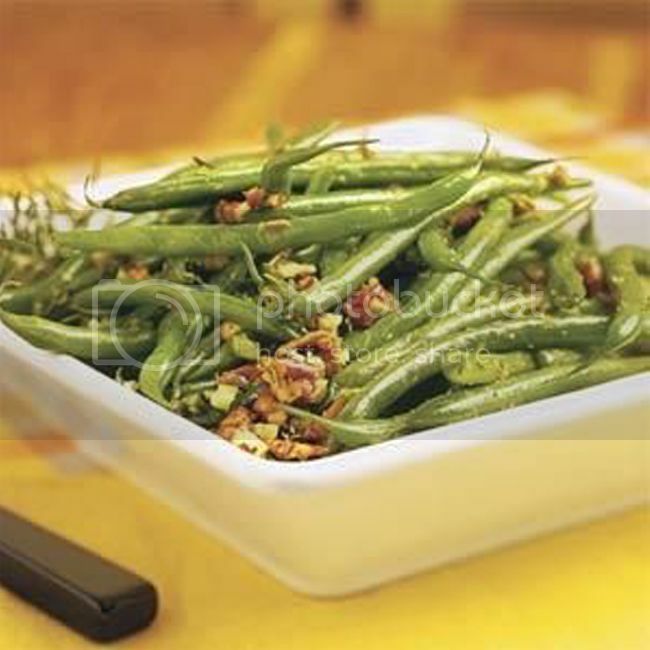 ), and this rosemary green bean recipe from myrecipes.com is not only delicious, but easy and quick to make. It's a healthy substitute to the traditional green bean casserole that pops up around Thanksgiving. 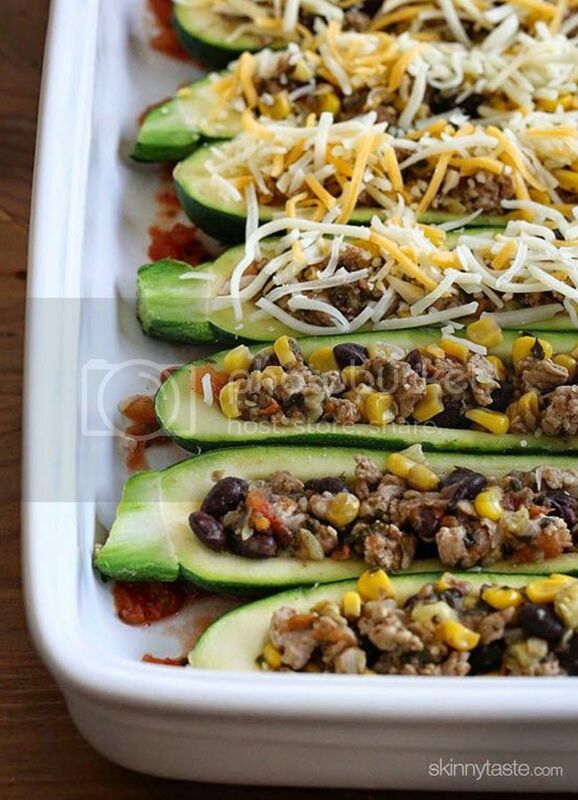 I made this turkey stuffed zucchini recipe from skinnytaste.com a few weeks ago, although I added a brown rice/ quinoa blend and omitted the corn and beans. I also added salsa and cilantro on top before serving. Yum! It also works well with bell peppers instead of zucchini. 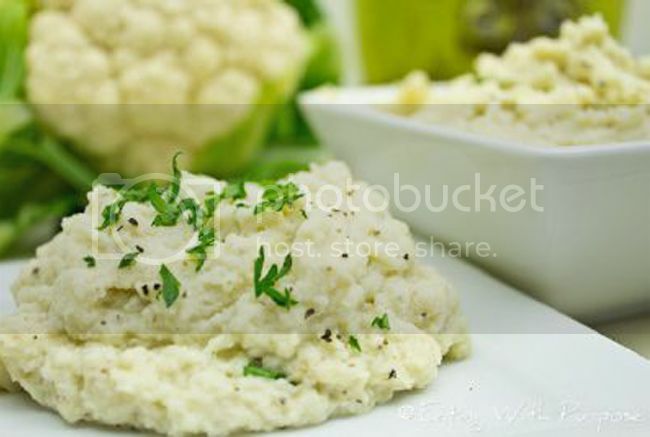 I tried this mashed cauliflower recipe via builtlean.com last week and it tasted just like mashed potatoes. In fact, I'm so obsessed with it that I might never eat mashed potatoes again. I added minced garlic and almond milk in my version for extra flavor. I love this for Thanksgiving! 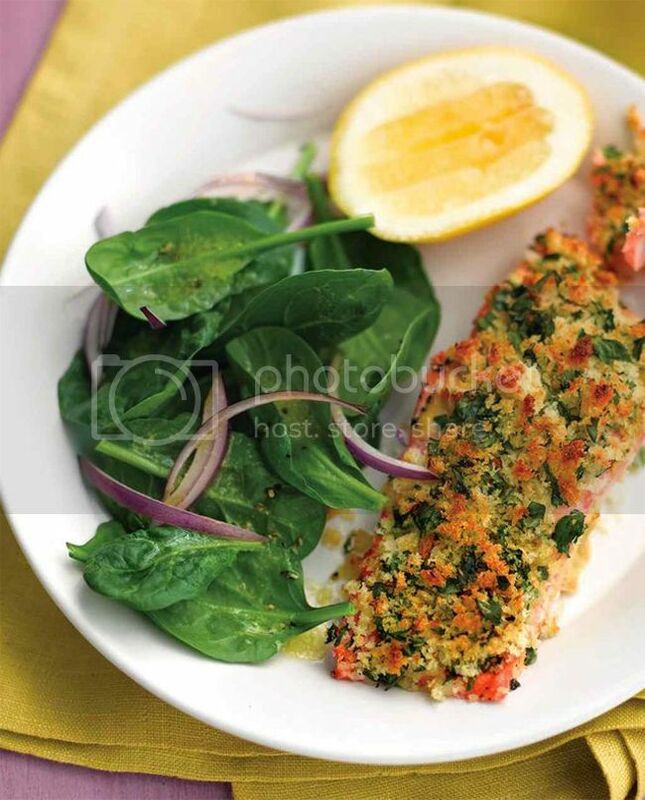 This herb-crusted salmon recipe by Martha Stewart is so savory. I've made it a few times and I use low calorie whole grain bread by Nature's Harvest or Sara Lee as well as cilantro instead of parsley. I eat chia pudding on a daily basis. 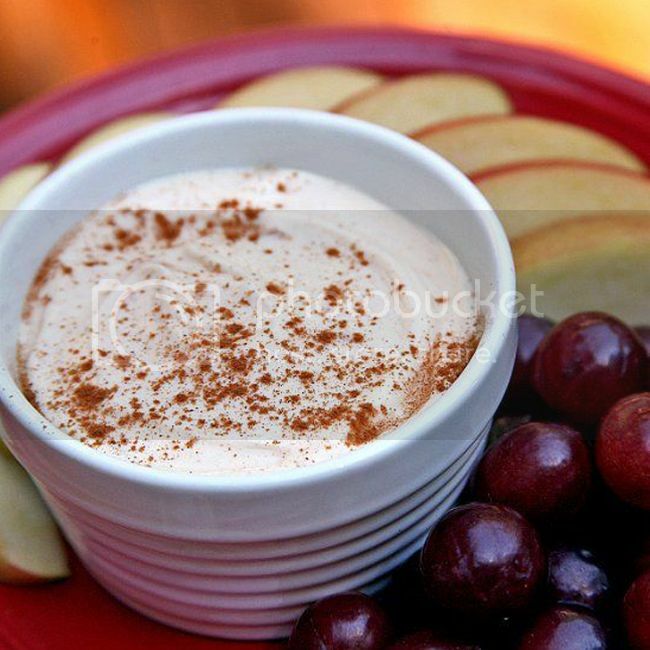 It's an excellent source of protein and pairs well with fruit, nuts, almond milk, and cinnamon. 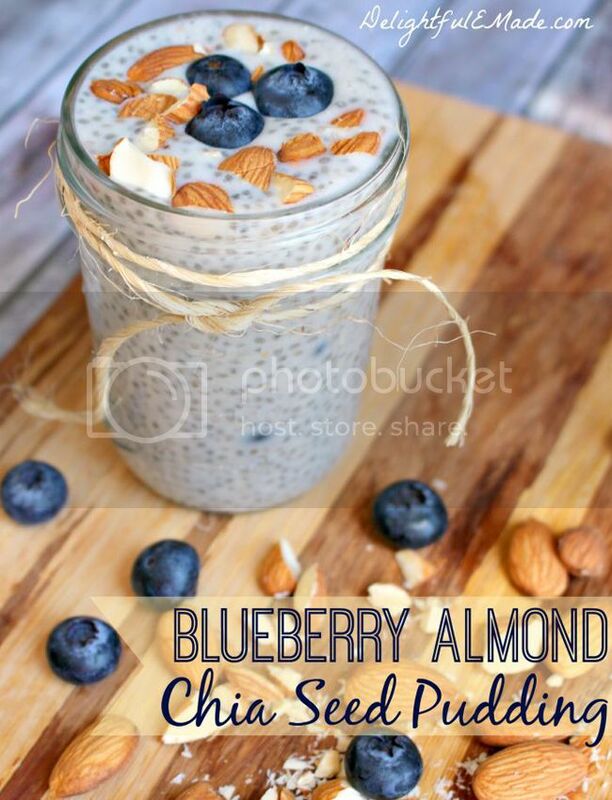 This blueberry chia seed pudding by delightfulemade.com is rich in anti-oxidants and could work well as a healthy breakfast, a snack, or even as a dessert. 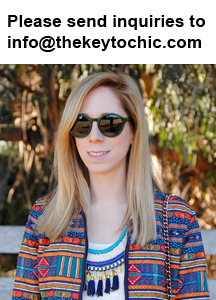 See what I'm stirring up in the kitchen on Snapchat @thekeytochic, get more recipe ideas on my Pinterest, and see chic Thanksgiving table setting ideas for fall 2016.